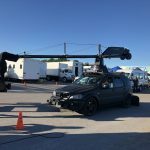 This best selling novel in being made into a movie by 20th Century Fox Studios set to release in September of 2019. 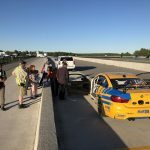 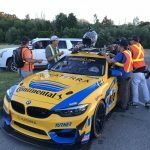 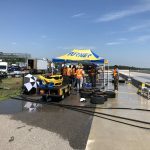 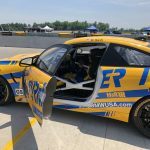 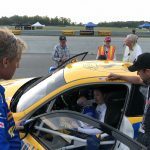 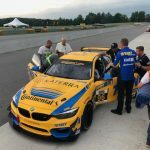 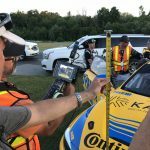 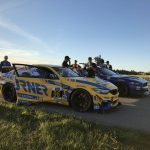 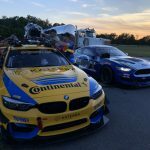 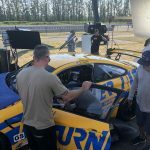 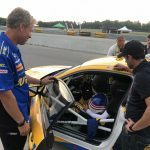 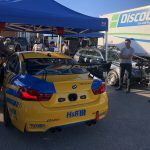 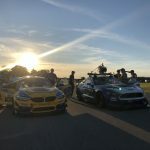 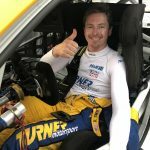 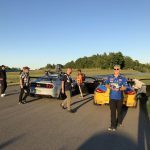 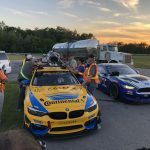 The Art of Racing in the Rain concluded filming late summer of 2018 in Vancouver and Toronto, Canada with the Turner Motorsport team. 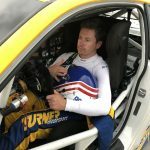 The story is narrated by a witty and philosophical dog named Enzo (voice by Kevin Costner) who has insight into the human condition and understands that the techniques needed on the racetrack can also be used to successfully navigate the journey of life. 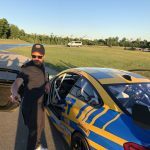 Milo Ventimiglia (“This is Us”) will portray the dog’s owner, an aspiring Formula One race car driver. 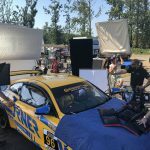 Amanda Seyfried (lead in Mamma Mia!) 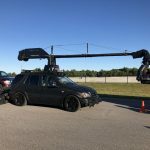 will portray his spouse and Martin Donovan will play her father. 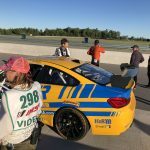 Now for the really cool part, Patrick and his colleagues offered Turner Motorsport to be in the main race scene. 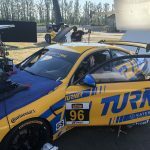 Milo Ventimiglia who plays the main character Denny, will be driving the Turner BMW in the pivotal race when a raindrop hits the windshield the call is made to duck into the pits to get rain tires on before his competitors do. 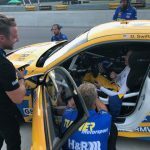 The actual Turner Motorsport pit crew performs the pit stop and tire change to get Denny back out on track. 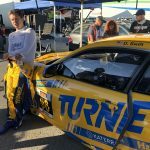 Denny then races through the field in the Turner BMW and in the end, takes the win. 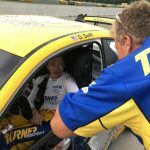 Denny is dressed in full Turner Motorsport gear and car is featured the iconic blue and yellow Turner livery. 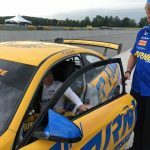 Denny and car will make it to victory circle helping to launch Denny’s professional racing career. 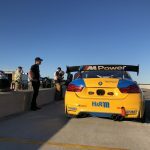 Check out the article on BMWBlog here. 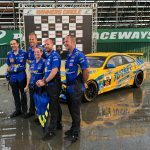 Turner Motorsport featured in “The Art of Racing in the Rain”. 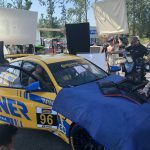 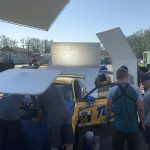 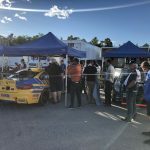 The photos below were taken in Vancouver and Toronto in June and July of 2018 during the filming of the racing scenes in the movie.